I’m hesitant to post these because who likes to post pics of themselves in a swimsuit? Well, I don’t. 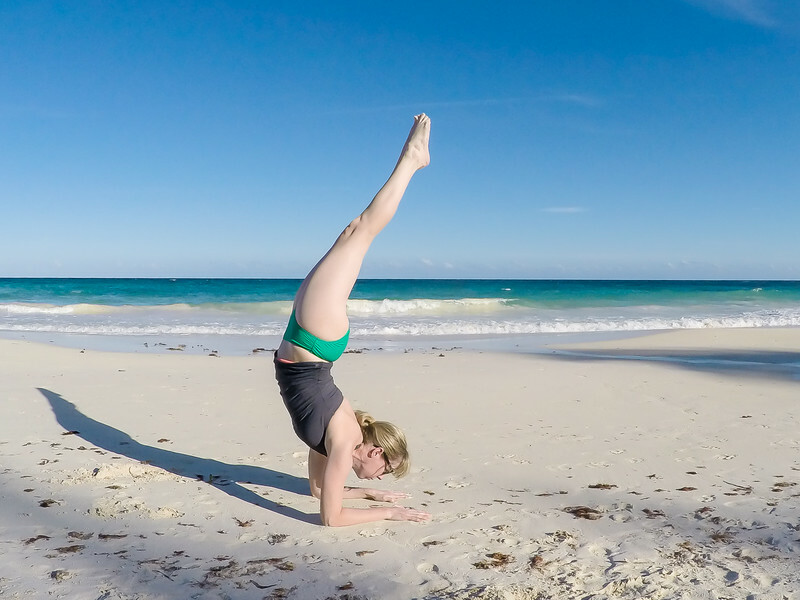 But…every time I told people I was going to Mexico they always told me to post pictures of me doing yoga on the beach. So here I am, as white as the white sand beach! The funny thing is that this is AFTER applying self-tanner all week! Forearm Stand / Pincha Mayurasana / Feathered Peacock Pose was a little tricky because my elbows would slowly sink into the sand, throwing off my balance. Here I’m just relaxing underneath a palm tree. I was going to have Rob photoshop out the three people in the background staring at me but the guy in the white speedo is just too awesome. Anyway, there you have it. Mayan Yoga.